The trip up on Snowdon mountain had several goals – one was to see and capture the beautiful landscape another was to capture images of the Snowdon Mountain Railway. The weather made it really hard because we hand very frequent rain and hail so making the weather work together with the time schedule of the train and the location we have chosen to get the images were difficult and involved a bit luck and patience. 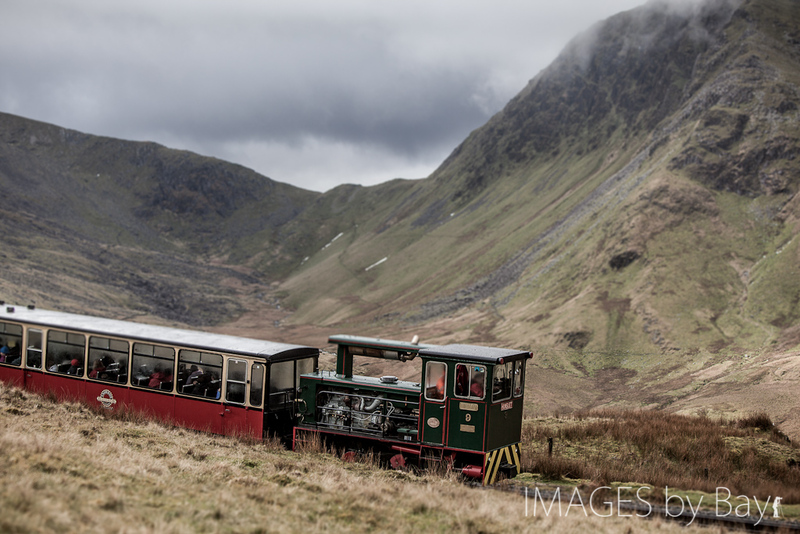 Here is one of the images – the one I think is best capturing the idea of the train driving on the slopes of the highest mountain of Wales – Snowdon (1085 meter). We did not only go up to get images of the Snowdon Mountain Railway but we continued all the way to the top – tough with all the gear and hard weather on the top. I’ve played a bit with the image in Adobe Lightroom but the the difficult part was the technique: panning and keeping rain of the lens with the Canon 5D Mark II and the Canon 70-200mm f/2.8 IS Zoom lens.